This year, our Christmas project was quite different from past years! For a few reasons, we decided to go out with all the gifts on Day of the Kings (the day Mexico remembers the Wise Men who followed the star in search of Jesus), instead of Christmas Day. It was also very different because we brought a crowd with us! 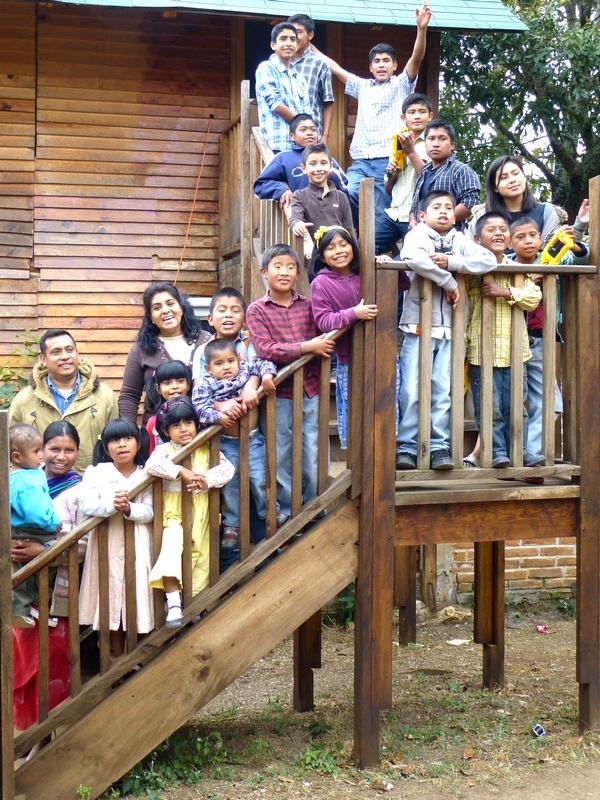 A bunch of our friends from here in San Cristobal wanted to be part of this fun day… and they made it so much more fun! All of the kids sang for us before we broke out the gifts. 2 tear-jerking songs! Most of our crew, listening to the beautiful singing. 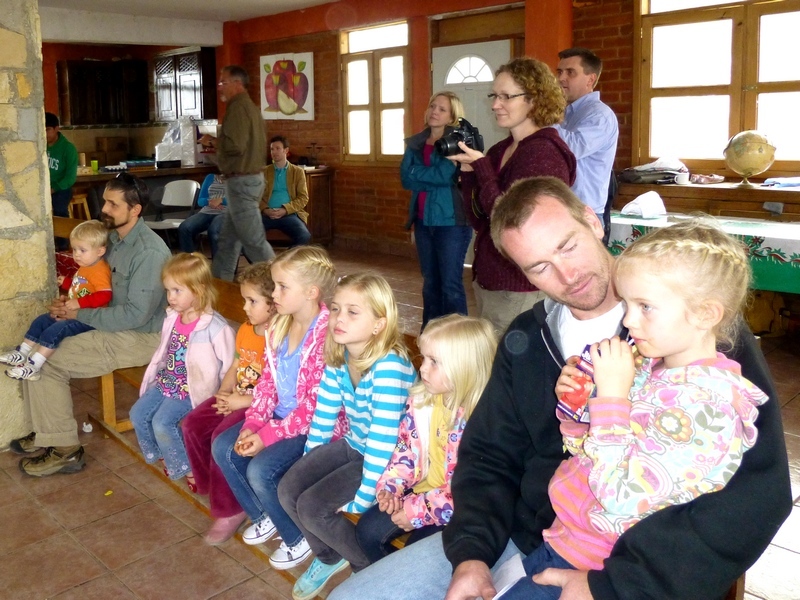 In talking to Carlos and Yara (the orphanage parents/directors), we learned of several needs they had. The first one mentioned was sheets and blankets, then shoes. 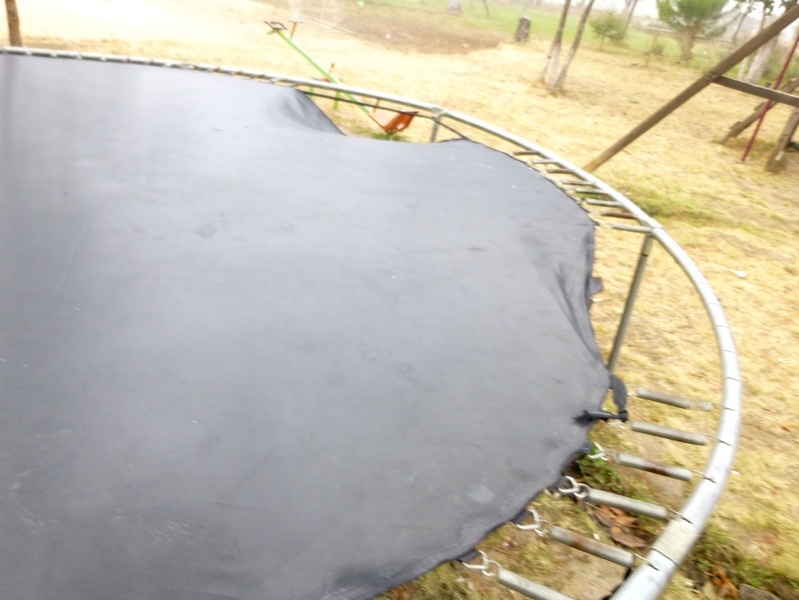 After that, we learned that the trampoline that the kids love SO dearly is missing a bunch of it’s springs. Missing springs, but still in constant use. Scary! Thankfully, we had just enough funds for sheets, shoes, AND a new trampoline! We only had to purchase a couple of blankets, because several friends here bought some as well. 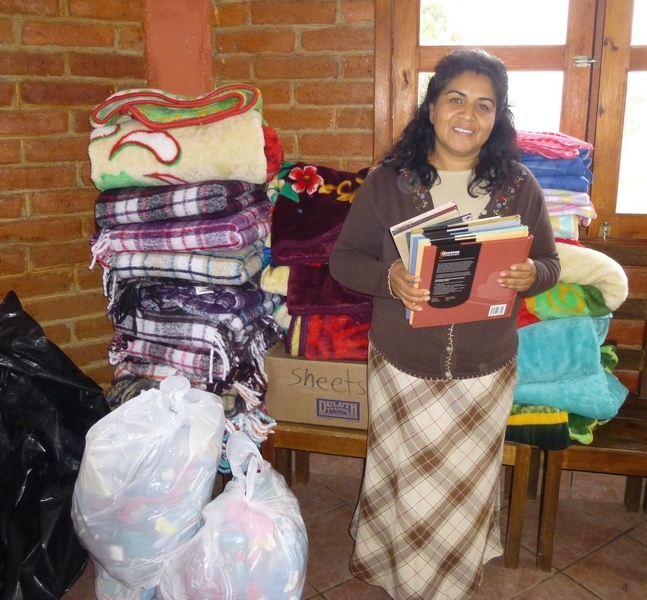 Mama Yara with her mountain of blankets and sheets (along with a stack of new books)! 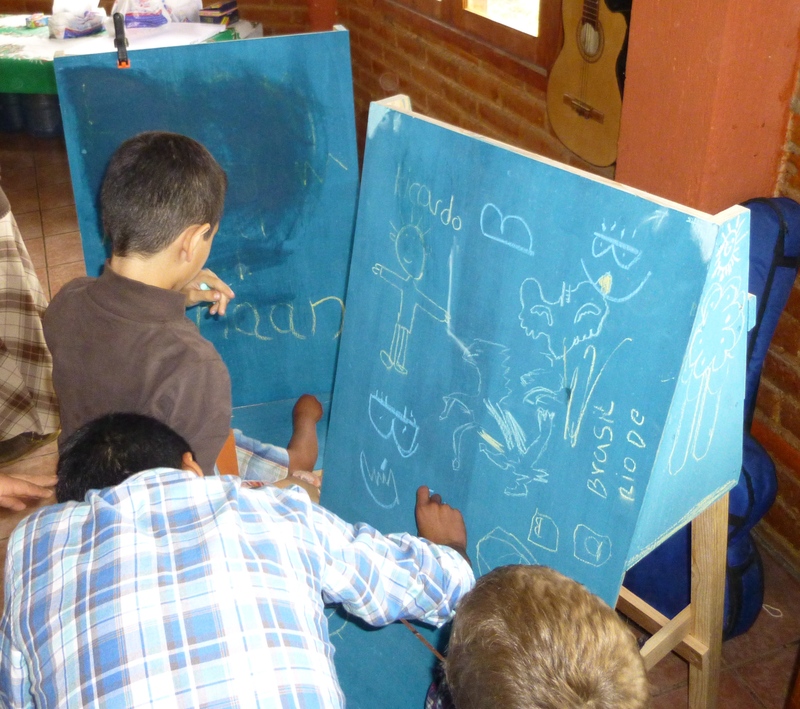 The chalkboard/art easels Nathan made were an instant hit! Aunt Karen made these kids’ day!!! 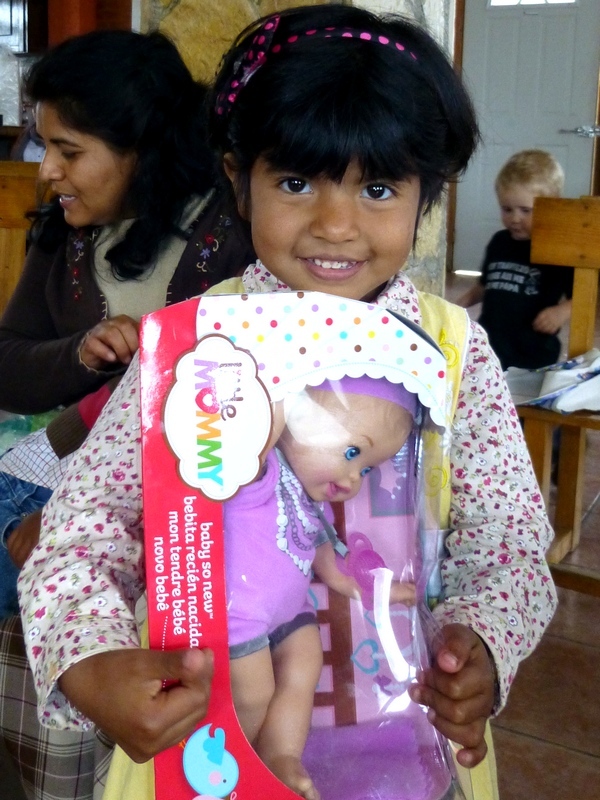 Since they were all receiving shoes, toothbrushes/toothpaste, and a toiletry bag, she decided they each needed a toy. Esteban loves to have his photo taken! 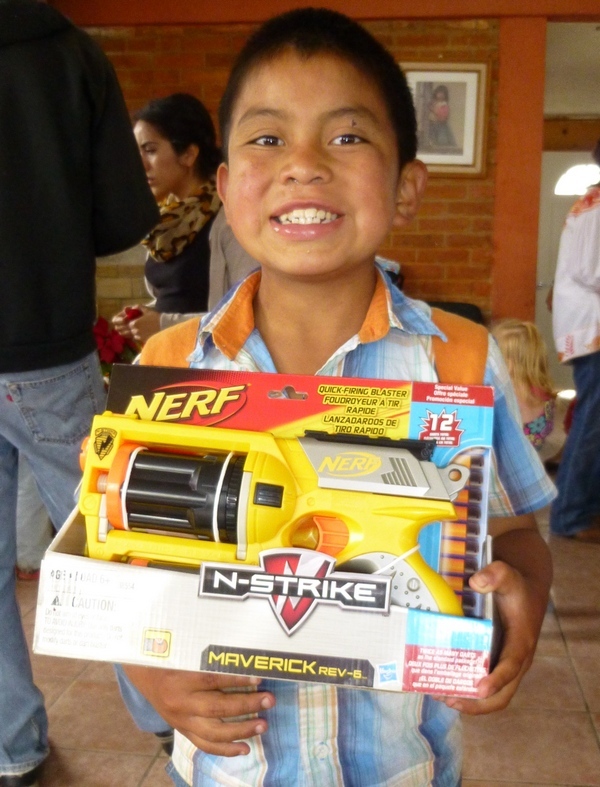 He was thrilled with his new nerf gun from Aunt Karen. You should have seen her face light up when she unwrapped it! Rosita is a newer addition here. She will melt your heart in no time! At least, she has mine. 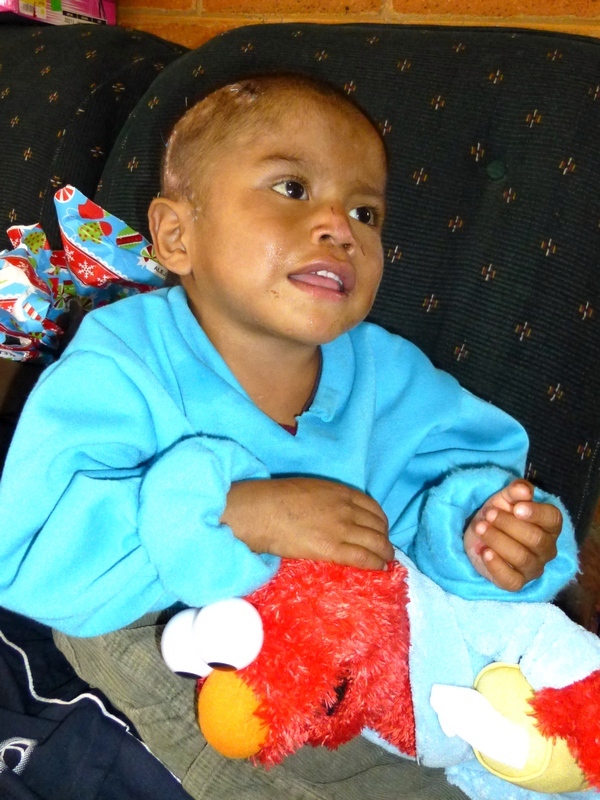 This precious little one is 3 yrs old, but due to a beating from his father he can not walk or talk, and still has stitches in his head from his month-long hospital stay. 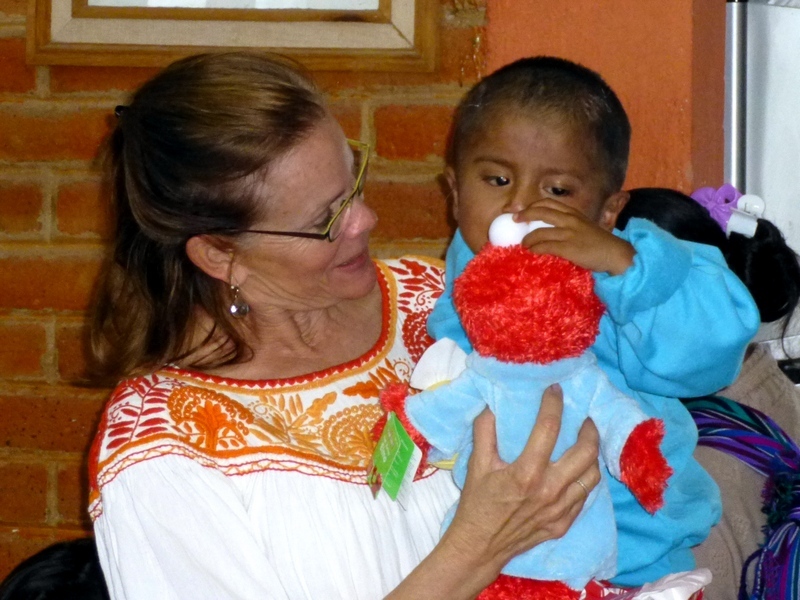 His mama (Teresa) and baby sister came to Casa Hogar Canaan for help and live here now. Please pray for them! 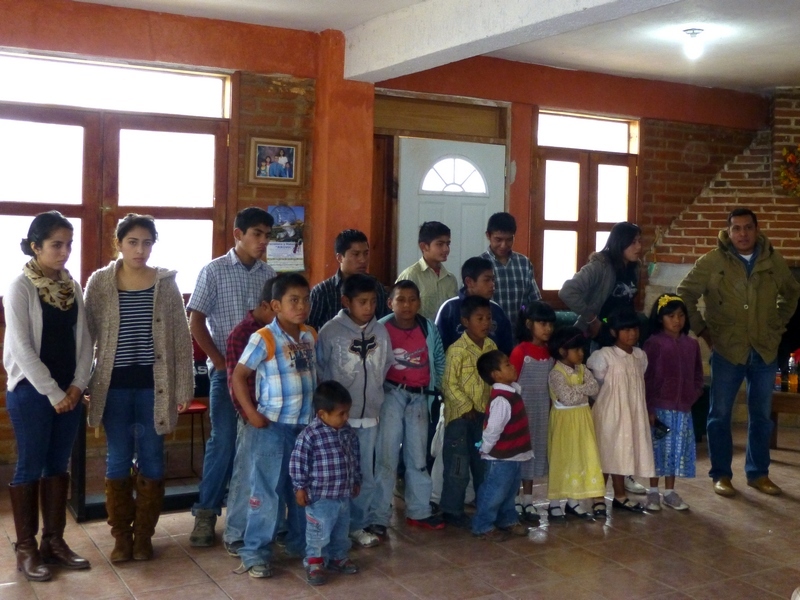 Soon, I will be posting about a few really special needs that the orphanage has, that you can be involved in. But for now, I will leave you with one last picture and a thank you. 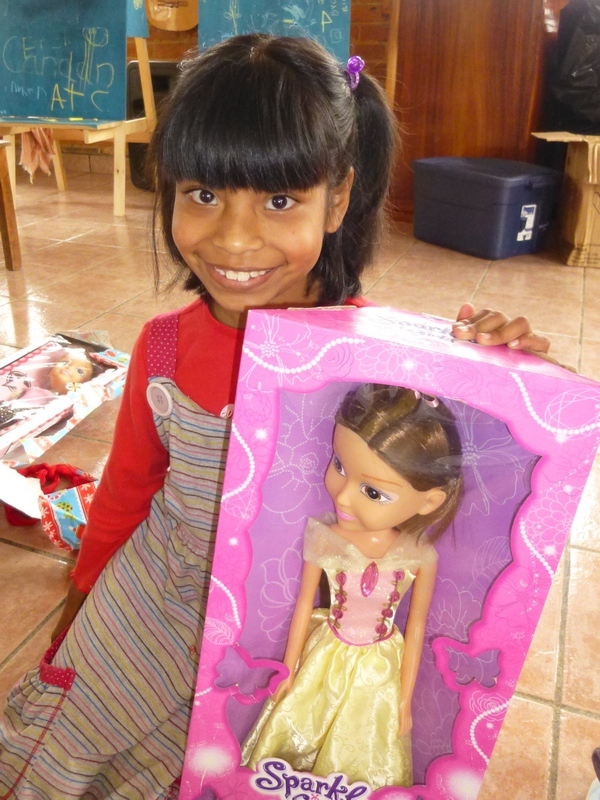 Thank you for your help in making Christmas 2012 extra special for these amazing children! Words really can’t express how precious they are… you need to come visit them to believe it!